A & R Commercial Kitchen Cleaning provides full and partial kitchen cleanings. One of the many services provided by A and R to the Tacoma, Seattle, Yakima and Spokane, WA region is professional pressure washing services. With any business or organization that deals with food service or food preparations, it is important to maintain cleanliness in your Everett or Kent commercial kitchen. A and R Hoods has been providing Seattle and the surrounding Western Washington communities with high-quality exhaust hood cleaning services for over 25 years. We take great pride in our excellent reputation amongst the local fire marshals, insurance companies and our valued customers. Our professional exhaust hood cleaning services have also expanded to include the Spokane and surrounding Eastern Washington communities. We provide exhaust hood cleaning services for a variety of Seattle and Spokane commercial and industrial kitchens. Every commercial kitchen, big or small, will benefit from our complete kitchen cleaning services. A and R Hoods is fully licensed bonded and insured pursuant to Washington State codes and regulations. Hood and Duct Cleaning are performed with strict compliance to the National Fire Protection Association (NFPA) #96 standards. We don’t just clean what you can see! Your entire Seattle or Spokane kitchen exhaust hood cleaning will include inspecting and cleaning from top to bottom and everything in between. In addition to exhaust hood cleaning, we check the belts (replace if necessary), lube the fans and polish the hood inside and out. Nothing within your Seattle exhaust system will be untouched! No mess will be left behind – guaranteed! In addition to exhaust hood cleaning, A and R Hoods also provides additional services to improve the appearance and safety of your Spokane and Seattle commercial and industrial kitchens. Why Should Seattle and Spokane choose Us for Hood and Duct Cleaning? First and foremost, exhaust hood cleaning is not only mandated by Washington State and local authorities, but it ensures the safety of your employees and customers. A grease fire is the leading cause of all restaurant fires. 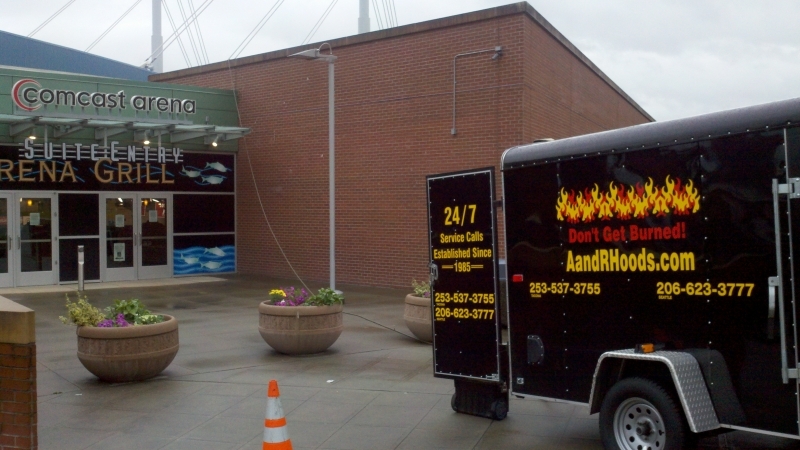 A and R Hoods provides professional commercial and industrial kitchen cleaning services that any Seattle or Spokane facility may require. Most restaurant chains, big and small, use fan hinges to lengthen the life of their fans. 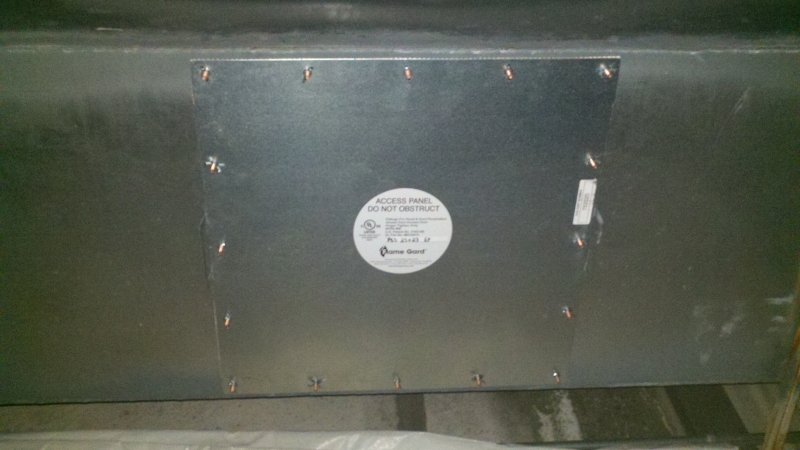 In any food service establishment from Olympia to Spokane,grease trap cleaning should be a routine maintenance item. 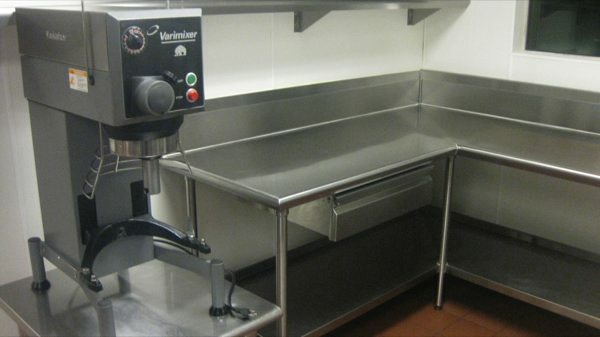 Food preparation in any big or small kitchen or restaurant must have clean equipment to use. Don't get burned! Call A and R Hoods at 253-777-3880 today! Copyright © 2019 A and R Hoods | All Rights Reserved.